Being in the technology business is a fast-paced journey where only the fittest survive. New technological trends continue to emerge rapidly as we enter into the 4th industrial revolution where automation is key—bringing fresh societal changes, which are forcing businesses to adapt. And there’s always someone new coming in with fresh ideas, which could end up disrupting your industry. 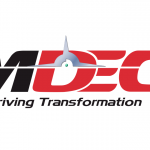 Companies recognised by MDEC’S Global Acceleration and Innovation Network (GAIN) programme have already jumped through various competitive hurdles and are continuously making efforts to ensure they don’t drown among other players while competing to go global. 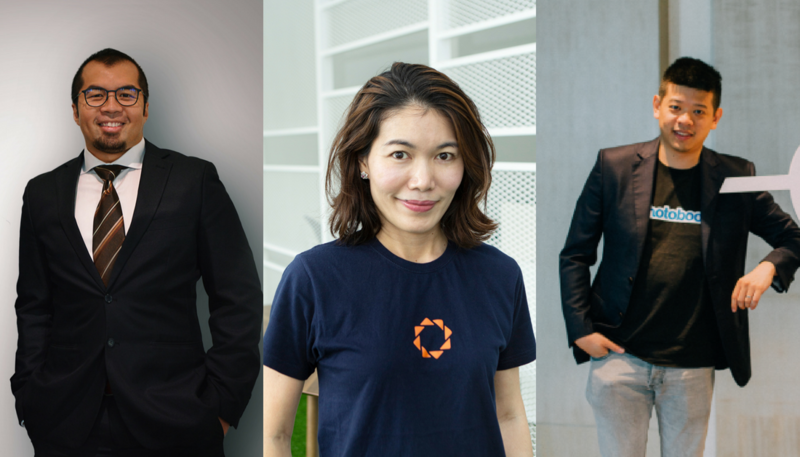 We talked to some of their CEOs about what it was like being pioneers in their fields while also trying to stay on top in their respective industries. 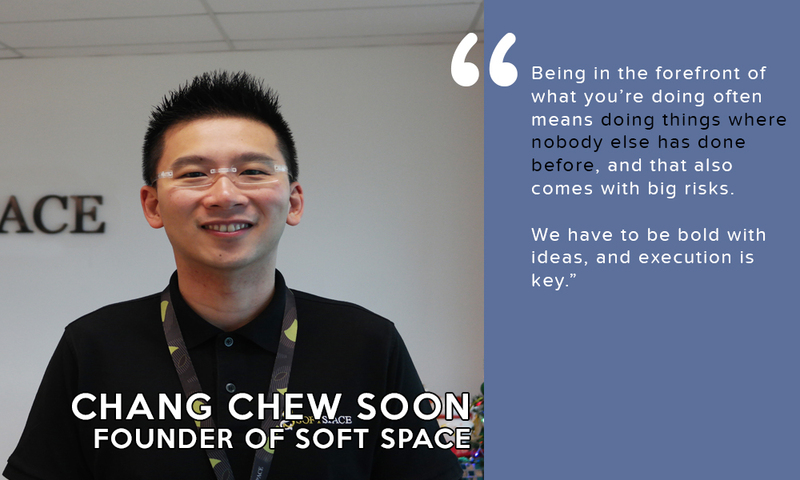 Watching his own father struggle with banks to bring electronic payments into his traditional business was the spark behind “Soft Space” which Chew Soon founded in 2012—a digital payment provider that helps people accept transactions securely at an affordable rate. What brought Soft Space its timely success was Malaysia’s move to combat fraud and counterfeit credit cards in 2003 through the enforcement of the EMV (Europay, MasterCard, Visa) security standards. Context Time: EMVCo is jointly owned by American Express, Discover, JCB, MasterCard, UnionPay, Visa and it manages, maintains and enhances the EMV Specifications to ensure global interoperability of chip cards. Following that phase, all credit cards issued in Malaysia had to be chip-based, and for any technology involving the processing of chip credit cards would need accreditation from EMVCo to be accepted by financial institutions. Coming to the present day, Soft Space has 20 financial institutions in 11 countries as clients. IX Telecom operates as a one-stop shop for clients when it comes to telecommunications and ICT services. Their specialty is to help customers get connected anywhere around the globe more simply at a reduced cost, attracting clients from more than 200 countries. This success has been achieved by continuous effort since their inception in 2008. 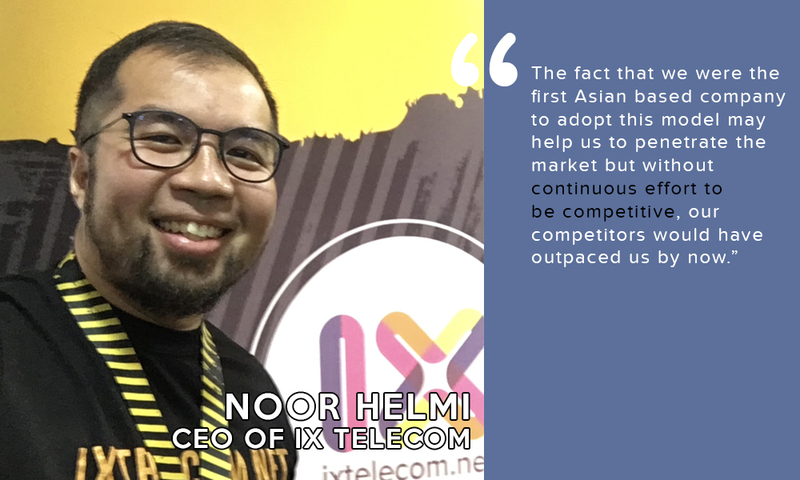 Noor Helmi, the CEO of IX Telecom, shares that back then, they were one of the pioneers in the field while also being the first Virtual Network Operator (VNO) to originate from Asia. “We first started as a VNO before the company evolved to what we are today—The Global SD-WAN Service Provider,” said Noor Helmi. Although he couldn’t point to any one historical moment that catapulted his company ahead, he stressed the importance of taking risks as an entrepreneur as a major factor. Reza Razali came from a background of running a software development house before deciding he wanted to develop his own product. The opportunity came when he started Slurp!, a cloud-based POS system that catered to an industry he had experience in—F&B. Reza saw a gap in retail technology tools made available for large F&B operators but not the smaller guys. So Slurp! allows merchants access to analytics, operations and inventory management, loyalty, and much more. When they launched in 2014, Reza claimed that there were no other similar local SaaS-based platform. Thanks to this, they were able to get their system up to par with a legacy POS system within 8 months with help from their clients’ early feedback. To build his brand, risky decisions were made but Reza believes that business is about cash flow, so the decisions had to make economic sense for his company. Digital photography saw a spike in the mid 2000s when everyone swapped their film for digital cameras and that caused an influx of interest in taking photos. But despite that attracting interest, there were not that many good options to have these photos printed conveniently. 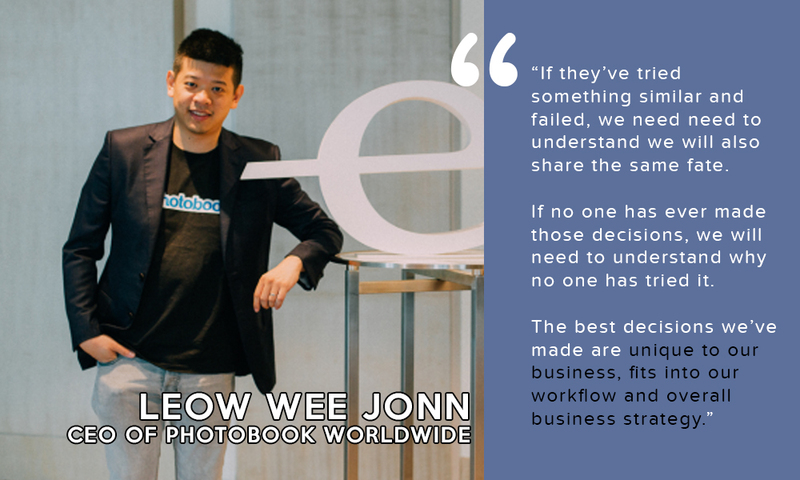 In 2005, printing companies were offering this service offline, so Leow Wee Jonn and his co-founders harnessed the opportunity to become a pioneer in bringing it online with Photobook Worldwide. “When we first started, awareness of this product was extremely low, but many were excited at the idea. Having it all done online was an added bonus as it was a lot more convenient but at that time, there was definitely some skepticism with online transactions,” shared Wee Jonn. What gave them the push forward was going abroad right from the outset so they were able to scale very fast compared to their competitors. “With scale, we were able to offer better pricing, more options, better customer experience and a higher quality product,” shared Wee Jonn. He shared his strategy of growing his business by basing his next moves on similar decisions or mistakes made by other enterprises. Stephanie Sitt and her partner entered the stock image industry with Inmagine in 2000, which was the first company in Asia to offer this service. But then they started 123RF to disrupt themselves as well as their competitors when they realised the demand for affordable images was increasing. “Traditional images was about 150 times more expensive while the prices of digital cameras became cheaper. 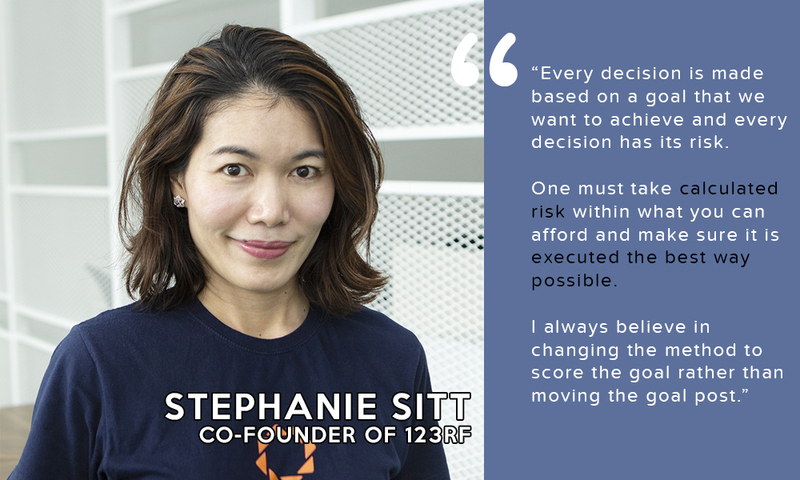 We saw the gap and started crowdsourcing the content and then marketed to the international market,” said Stephanie. They hit the jackpot when they became the first stock library to advertise with Google Adwords in 2002, catapulting their brand to the global masses. But Stephanie dispelled common misunderstandings that their industry has a low barrier of entry and that it is easy to build a comparable digital content website to market internationally. This is the final instalment of our CEO series presented by MDEC GAIN. For the previous installments, check out the links below. What Is A Technology Scaleup? We Explain. Feature Image Credit: Compiled from IX Telecom, 123RF, and Photobook Worldwide.